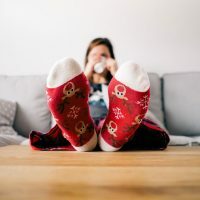 Let’s be honest, healthy things are not always terribly exciting things – and a lack of motivation to keep up with an activity or good behaviour is probably the number one reason most people fail to make permanent changes. That said, your health remains a crucial factor in so many things, from how you perform at work, to making sure you have energy for your loved ones. Luckily, health is also big business – and with the lightning pace of advances in technology and in society as a whole, every day sees new ways to make taking care of our health fun! Let’s take a look at a few of the latest gadgets, apps and even games that can make being healthier new and exciting, and keep you motivated to get fitter, eat better and live smarter! There’s been a lot of debate on how indecipherable food labels have become – with sneaky manufacturers trying to hide potentially alarming levels of fat, salt and sugar in their products by making the maths tricky to do in a busy shopping aisle. Of course the easiest way to avoid this struggle entirely is to steer your trolley purposefully to the fresh produce section – but it’s not always possible! Luckily there are a range of handy apps to help you compare packaged products and find the healthiest option. These differ from region to region, but one of the most popular from this year is the Edo app, which uses a simple 0 to 10 rating system that helps you make your choice quickly and easily. Perhaps even better than their ease of use is the fact that they educate you about what’s really in the foods you’ve been buying without a second thought – knowledge is power, after all. For most people, dragging yourself to the gym is a chore that you quickly lose motivation for – but it really isn’t the only way to get into better shape. While an activity might not be new to the fitness scene per se, if it’s new to you, then you’re more likely to enjoy it. 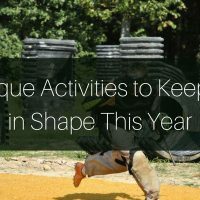 If you’ve been struggling to find an activity that appeals to you, then feel free to try several new activities. Some activities don’t even really sound like exercise before you try them – take paintballing for example. Not only is a great way to relieve stress and escape the daily grind of life for a few exhilarating minutes – but the more you get into the game, the better of a workout you’ll receive! Check out several new activities – be it a yoga, Zumba, pilates or even belly dancing class, and find the one that you love enough to make exercise fun again. Whether it’s a smart watch that monitors your heart rate, a snazzy set of wireless headphones or a handlebar-mounted navigation system for your bike, these gadgets all have one thing in common – how are you going to know they work unless you take them for a test run? Even better, the more you use them, the more in tune you become with what’s happening underneath the surface when you exercise. That makes it easier to set realistic gals for yourself and track your progress, which can be a huge motivational factor. 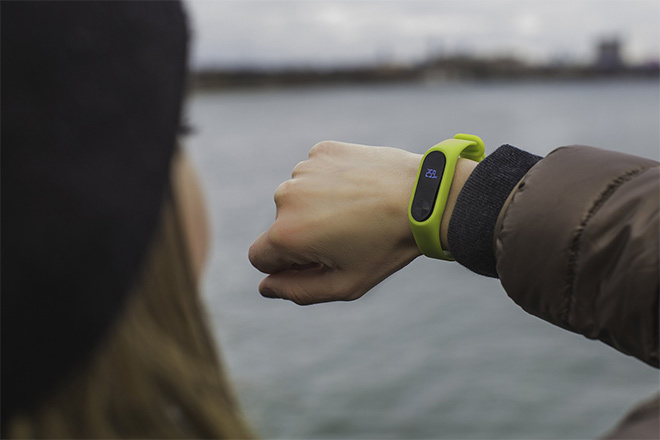 Even if it’s just adding a few extra meters to your next cycle, run or hike, burning a few more calories than yesterday, or being pleasantly surprised to see your resting heart rate coming down, these gadgets really can keep you motivated to keep up a good habit. When we think about health and fitness, we tend to focus on diet and exercise – which is great, of course – but it’s becoming more and more apparent that getting a decent night’s sleep is just as vital. When you’re tired, run down and anxious, you’re far more likely to make poor nutritional choices and neglect your exercise goals – so it’s just as important to address this area. If you tend to spend your life between phone, laptop and TV screens (and let’s be honest, that’s almost everyone these days) then one of the easiest ways to make them kinder on your health is to make sure they take natural light into account. Popular applications for your laptop like Flux dim the screen and shift towards warmer colors as sunset approaches, letting your brain know that even though the lights might look bright in here, it’s going to be bedtime soon! Variations on this theme are available for smartphones too, and most of them are free. If you struggle to get to sleep at night, then there are hundreds of meditation and relaxation apps to choose from, and many people are pleasantly surprised at the results. The cornerstones of good health are and will always be healthy food, quality sleep and regular exercise – but that doesn’t mean you can’t find new and exciting ways to get them! My name is Hayden Myers. A mother, traveler and business blogger. My world revolved around juggling my family, passions and responsibilities. In those brief moments of peace, I find myself writing about all types of topics that I feel I can give some personal advice, tips or inspiration to others. You can find my blog at Glamorous Glitter. These were some really nice tips for staying healthy. Reducing stress and getting an adequate sleep is the best thing we can do to keep yourself healthy. I’d also like to add that most of the time, we focus solely on the physical and mental health, but we should not ignore the emotional health as our emotions are what triggers our behavior. If there is something that is hurting us, something that is making us weaker or stopping us to achieve a good health be it mental or physical, then we should get rid of it as soon as possible. We are living in the world of gadgets, and they can definitely help us to achieve a healthy life. However, I believe we should not focus too much on them. Few line of codes can never accurately determine what best for our health. Eating a good diet is equally important for the good health. Thank you for sharing this. As for this new year, I’ve decided to go on a daily run. I’ve been doing it for 3-4 times a week and hoping I can still continue that. It’s nice to start this year a bit different for me and here’s to a year more motivated and healthy me. Great post! aahh yes! Less stress and anxiety and sleep better are just what I need for this year. Thank you for sharing this! Awesome blog.